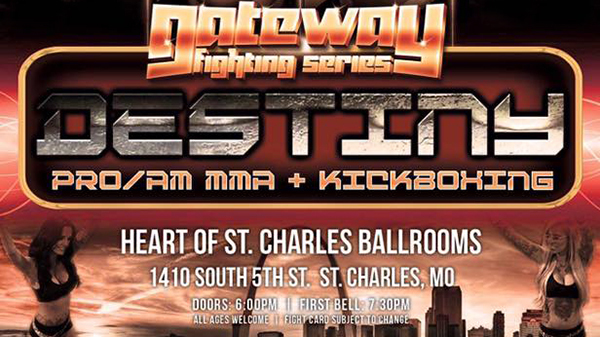 Following on the heels of a successful trip to Chaifetz Arena in January, Gateway Fighting Series returns next month for a pro/am MMA event at the Heart of St. Charles. The March 3rd event, dubbed "Destiny" is the third pro event for GFS, in its short, 15-month history and the future of several local pros will be determined. Headlining the event is the always-exciting flyweight Ken Porter (9-3) who is back in action after suffering his third loss as a pro. Porter dropped a decision to Nick Urso in September at RFA 44 here in St. Louis, snapping a six-fight win streak. After losing the first two rounds to Jackson-Winklejohn's standout Urso, Porter made things interesting with a late triangle in the third that nearly got the finish. Standing across from Porter on the 3rd will be Iowa's Joe Pearson a veteran of nearly 70 pro fights. The "Triangle Strangler" has only won twice in his last ten fights, with the most recent win coming by rear naked choke in March of 2015. Porter's submission game will need to be sharp as over 24 of Pearson's wins have come by, as you might have guessed, a triangle choke. He currently holds the professional record for most wins by this submission. Pearson has competed on almost all of the big Midwest fight organizations including King of the Cage, XFO, Victory FC, and Extreme Challenge, but the pinnacle of his career has to be the win over Yoshiro Maeda at Pride back in 2006. The win over Maeda scored Pearson a high-profile title bout with Urijah Faber at WEC 25 in Las Vegas in the twilight years of the promotion. In a women's bout, Tamikka Brents and Sarah Patterson will compete for the first-ever GFS women's lightweight title. Brents returns for the first time since a much-talked-about and controversial loss to Fallon Fox in September of 2014 at Capital City Cage Wars. The bout with Fox grabbed national headlines as Fox was the world's first transgender fighter to compete in the female division. Fox left Brents with a concussion and a busted orbital socket and sparked debates on message boards everywhere. Brents will face Iowa's Sarah Patterson (3-2), Patterson has won two straight. Always busy, always training, Kyle Kurtz launches his 2017 campaign in his first fight since getting his release from Shamrock FC. 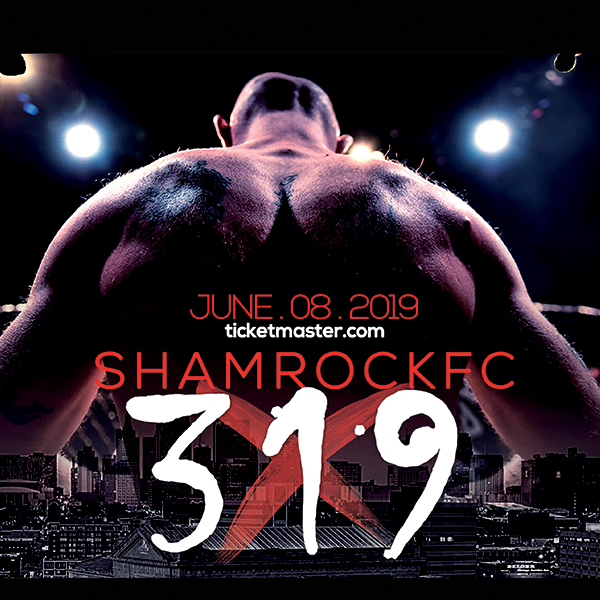 Kurtz (7-3) fought just about every top fighter Shamrock FC had to throw at him and put together a 4-3 promotional record that saw highlights of two wins on the Bellator undercard, and a main event win over former TUF contestant Adam Cella at the River City Casino. Facing Kurtz is the always-dangerous Quartus Stitt out of Chicago, Illinois. Stitt has tangled with several local fighters including Jake Collier and Adam Meredith, and always come in looking to finish. In his first fight since an instant classic at Bellator, Modern Combat Systems' Bryon Stevens is back to take on Joey Soto. The two heavyweights will slug it out with Soto looking for his first pro victory and for Stevens a return from a serious hand injury that had him on the shelf for most of the year. Burns defeated Lee Burns last June in a fight that would go on to win the STL MMA 2016 Pro Fight of the Year. This was Stevens first win as a pro after a successful amateur career that saw him win titles in both KC and St. Louis. In a fight between two cagey vets who have started to reinvent themselves, Sal Woods will take on Frank Sloan. Sloan, a pro since 2012, will fight for the first time since April of 2014 and has made St. Charles MMA his home as he prepares for a comeback. Woods has fought a who's who of St. Louis MMA including two current world champs, Tyron Woodley and Michael Chandler. Woods also hasn't been in the cage since 2014's submission loss to Eric Irvin. Both fighters seem to have mixed up their training with Woods being spotted doing jiu-jitsu with the BJJ club, the HeadNod Squad, and Sloan joining Mike Rogers' fight team at SCMMA. Two fighters who love to trade will share the cage when Jason Powell takes on Fred Freeman. Freeman out of MCS will be making his professional debut against Powell who is looking for that first win as a pro. Kicking off things on the main card is a match-up between MCS' grappling wizard, Cjay Hunter, and Dakota Bush out of the Smith Pit. Bush is 2-0 since turning pro and has a well-rounded game with surprisingly good submission defense. Hunter will really have to get creative to submit Bush, but don't sleep on Hunter's punching power. A full amateur undercard will kick things off. More details to come. Undercard TBA - Card subject to change.